Growing up with music as a strong influence throughout his life, JT has been performing since he was about eight years old. He took guitar lessons early in life but found it to be quite the challenge so he switched over to drums and excelled at it. Family functions were looked forward to, as he was able to jam with his Grandpa who played the harmonica, spoons and knives. His dad played the electric guitar, his uncle played the accordion and his cousin played the piano and the trumpet. Although he still plays drums, JT returned to playing the guitar as he grew older. With a passion for poetry, JT enrolled in writing classes to learn how to put his words with music and has been song writing for several years. One of his songs (A Dollar Short And A Dream Too Late) was produced in Nashville by former LeAnn Rimes Producer Jim Allison. 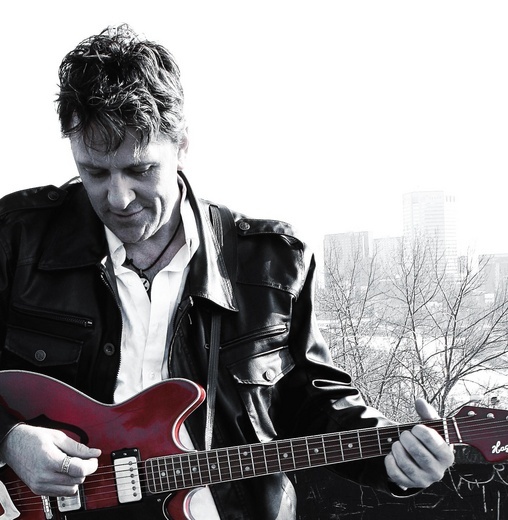 John Thiel (Lead guitar/backup vocalist for Huron Carol, Say Hay and several high profile artist’s such as Ian Tyson , Chris Cummings & Gil Grand) produced several other songs written by JT in Calgary, Alberta. These songs include “This Is Your Day”, “Will You Stay Young”, “Thanks Mom For Being My Dad”, "Time For Something New", "Daddy’s Little Girl” and ”I Am Canadian”. Over the past many years JT has been writing and perfecting his craft with Thomas Wade (Thomas Wade and Wayward), musician John Thiel as well as performing at venues and Festivals all over SW Ontario with a high energy country band (Cadillac Cowboyz) formed with a couple original members of the Canadian classic rock group HELIX. With the support of fellow CCMA award winning recording artists and songwriters Thomas Wade, The Road Hammers, 2007 CCMA Rising Star Award nominated group JO HIKK, his band CowTown and help from producer John Thiel, it’s only a matter of time before everyone knows or wants to know who JT Moore is. * Interviewed about his music and career aspirations as well as filmed music video style all over Calgary for a new daytime CBC Television program called "Living Calgary" in the early spring of 2007. This program shares what is great about Calgary. This was the original pilot for this program which continues to be aired across Canada. * JT's original song "I Am Canadian" was picked up for use at the 2007 Pinnacle Awards Gala. This song was used during a video presentation of award nominee's and is being considered for long term use of that song for this event. * JT Moore & CowTown took second place at the 2007 Country105, Lamles, Ranchmans Rising Star Competition. * JT Moore & CowTown Performed on the main stage at the 2007 Lilac Festival in Calgary. * Opened for Canadian Country Music Legend Tom Jackson at the "2007 Pet's Do Matter" event for the Cochrane Humane Society.